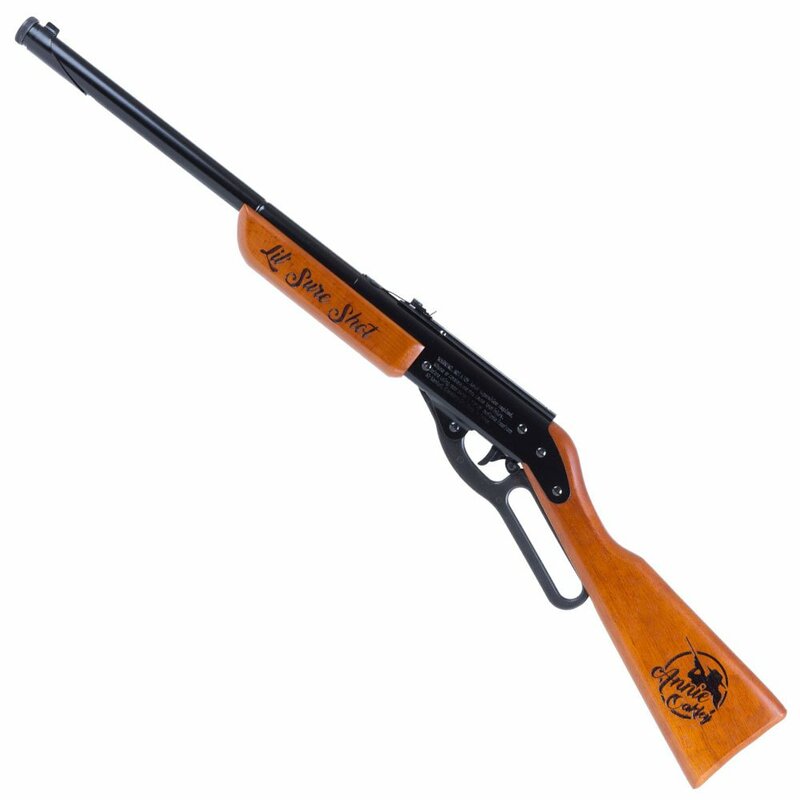 The Lil Sure Shot is a true western justice, sharp shooting BB Repeater! 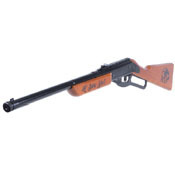 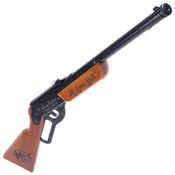 This lever action rifle is spring powered and fires from a massive 550-round reservoir. 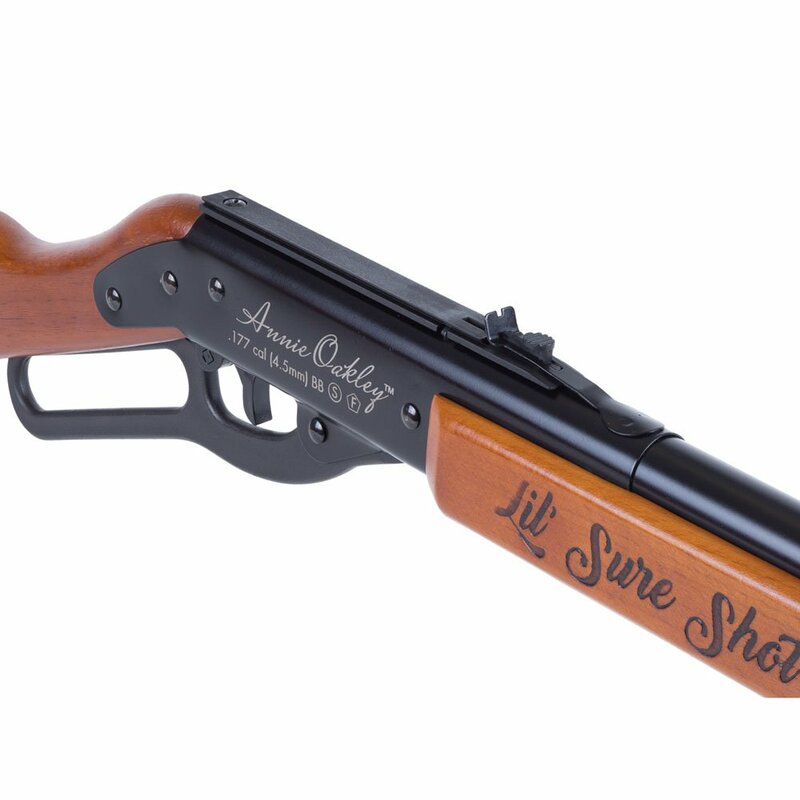 In honour of the infamous deadeye Annie Oakley, the wood stock and metal frame have been engraved with Little Miss Sure Shot's signature and silhouette. 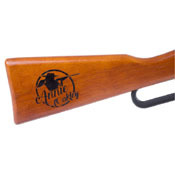 The rear sight is adjustable for elevation and the gun comes with a dovetail rifle mount.